We may not be performing on TV in front of hundreds of millions of people where our every move is critiqued and evaluated but, whatever you do professionally, if you’re out there getting after it, you probably feel a certain amount of pressure to deliver a result. 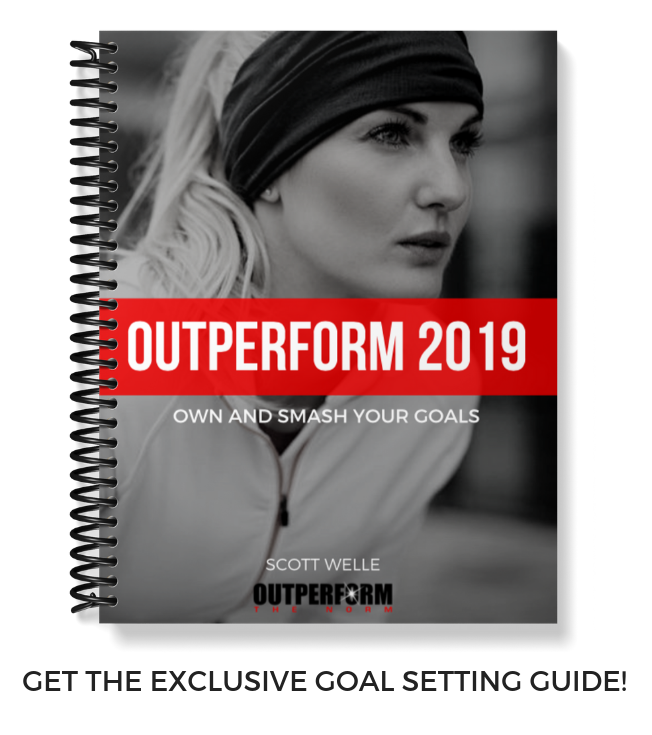 That’s how you can take the application of what these athletes do under intense pressure and apply it to improving your own personal performance. First, look at your interpretation of nerves, and I use the word interpretation very specifically because, if you ever heard an athlete say, “I just don’t get nervous,” it’s not the truth. Every single athlete playing in the Super Bowl is going to be nervous, I guarantee it. But, we are what we tell ourselves and the meaning that we attach to nerves is very different with Outperformers versus the norm. Outperformers will look at nerves and butterflies as something that’s going to FACILITATE their performance. The norm believes they shouldn’t be this nervous; that nerves are a bad thing. They see it as something that’s debilitating to their performance. It’s key to make this distinction and it’s not how we’re taught. We think that we’re supposed to be “cool as ice” and being nervous means something is wrong with you. Stop telling yourself that! You feel a little goofy when you tell yourself that because it’s so counterintuitive to the way that we normally look at nervousness. We only get nervous about things that we care about and the things that we genuinely want to go well. If you don’t care about something, you’re not going to be nervous. To attach the meaning of nerves as something that is going to help your performance is absolutely key. Preparation breeds familiarity, and familiarity breeds confidence, and confidence breeds success. That’s the four part progression, and at the end of the day, the will to win means nothing without the will to prepare. If you’re feeling a lot of pressure to have a big close-out, to deliver on a presentation, to ink a deal, to roll out a new company initiative, the more that you can have disciplined preparation towards that, the more that it’s going to help breed the familiarity that you need. And, subsequently, that familiarity is going to translate into confidence, and the confidence is going to lead to the successful result that you want. When we watch the Super Bowl, we only see the players competing on Sunday. Most people have no idea how much preparation goes into getting people ready for the game, in terms of film study, training, rehearsal, practice, etc. By the time you’re under the brightest lights, on the biggest stage, you’re just going out there and executing all of the preparation that you’ve had beforehand. 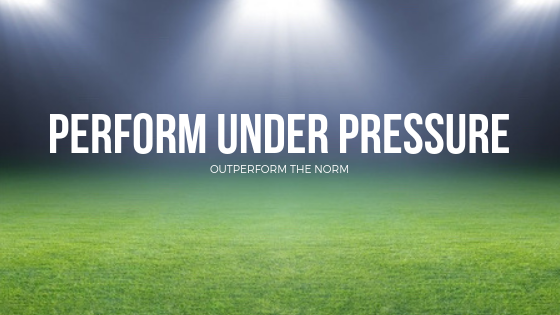 That’s something I’ve noticed from every single Outperformer—they’re always the most well prepared going into whatever pressure situation they face. Third, control the controllables. 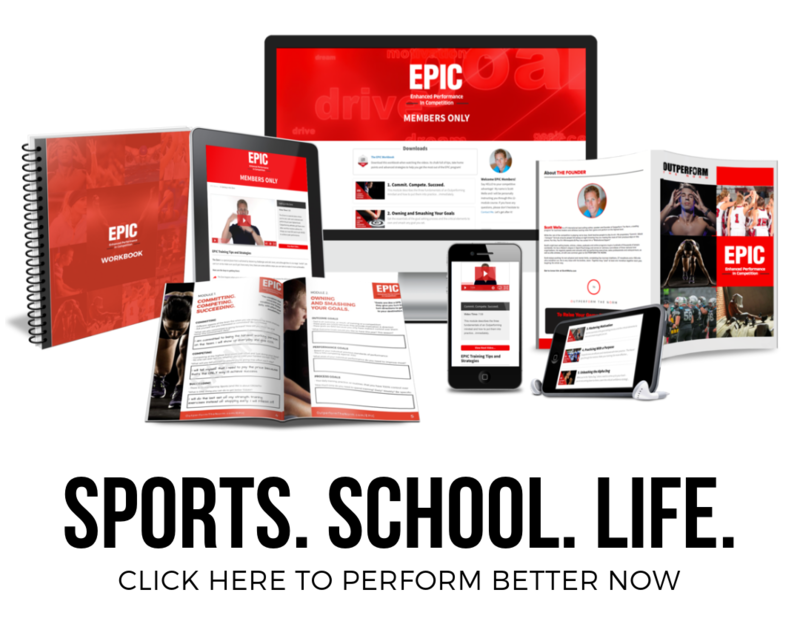 The one thing that I’ve learned, not only working with athletes but also working with top business leaders is that, if you are feeling any amount of pressure in your life, it is almost always because you are feeling the need to deliver an outcome or a specific result, of which you only have INDIRECT control. The things that we do have control over—our attitude, activities, effort, preparation—are the things we should be focusing on. If an athlete goes out there on Sunday and thinks, “I’ve got to win the Super Bowl, make the kick, throw a touchdown,” there is absolutely, positively ZERO chance that they’ll perform their best. Similarly, if you’re thinking in terms of results the same way, such as, “I’ve got to make this deal, have a good close-out, hit these numbers,” you’re only going to feel more pressure. Ask yourself, “What are the things that I have control over, and if I do them really well, will most likely lead to that desired result?” It holds true in athletics, business and LIFE. Control the controllables, stop worrying about outcomes. Last but not least, script the setbacks. If you’re trying to perform under pressure, you WILL meet adversity somewhere along the way. In the Super Bowl, I guarantee the winning team will throw an interception, miss a kick, fumble, be penalized or have something significant go against them. When this happens, the pressure gets ratcheted up because you know hundreds of millions of people are watching you. So, how do you flip it around get it back? …if you don’t bring it to the ‘game,’ you’re not going to find it out there. The “script” can just be something as simple as a word you say to yourself, a phrase, a quote, something that a mentor or teacher said to you, a lyric of a song, but something that allows you to flip the switch and turn things around. It should act as a pattern interrupt. My phrase is, “You got this.” I remind myself of that constantly. 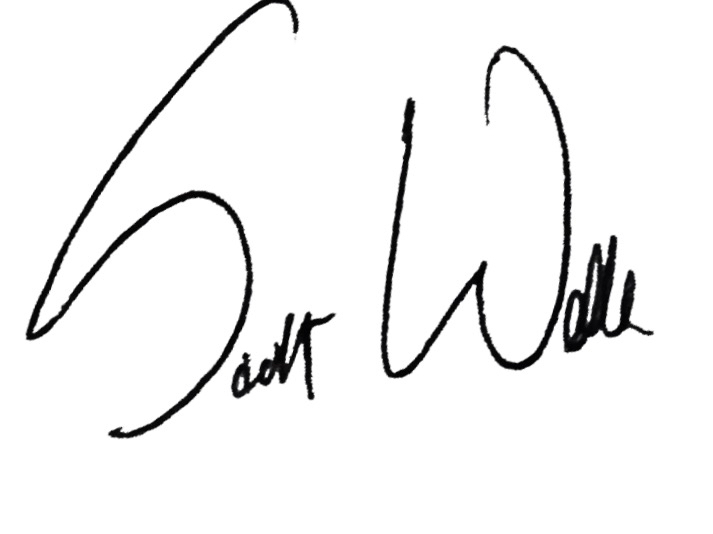 Even if I do something wrong in the middle of a speech, I say, “You got this, Scott.” This allows me to flip the switch, start fresh and move forward. Life is a roller coaster, not a train ride, and you’ve got to expect that somewhere in the midst of performing under pressure, you’re going to hit a spot where things aren’t smooth sailing. Knowing what you’ll say when you have a setback is essential. 1 – Look at the interpretation and the meaning that you’re attaching to nerves. Make it positive and embrace it. 2 – Trust your preparation. It breeds familiarity, confidence and success. 3 – Control the controllables and stop worrying about outcomes. Focus on the process and the things that you can control that will lead to a better outcome. 4 – Script the setbacks. Have something that you’ll say to yourself if you make a mistake and you need to get it back. 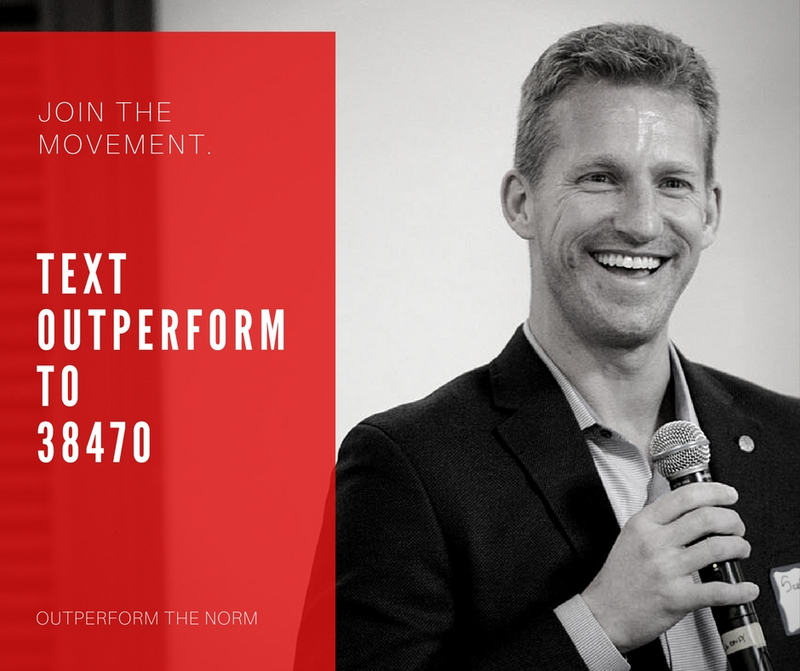 Do these four things and I will personally guarantee that you will not only perform your best under the brightest lights, on the biggest stage, under the most intense pressure, but you will also Outperform The Norm (and the competition) in any area. « Previous Post The Easy Way Out Next Post » Time Flies.